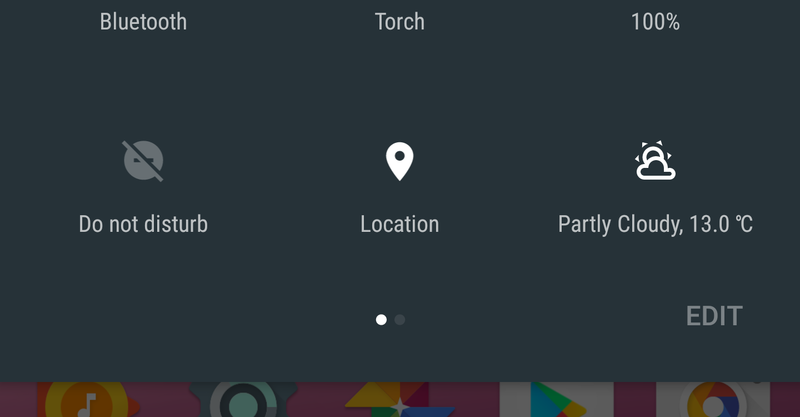 Android 7.0 is right around the corner, and will bring with it a customizable version of the quick settings list. For the first, time, developers will have an officially supported way to add new items to this UI, and some are getting an early start. 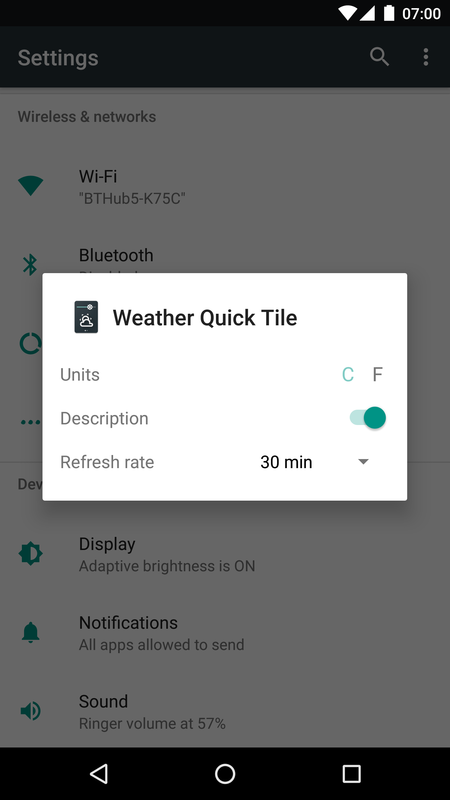 Weather Quick Settings Tile puts the weather up there. You can already have the weather just about anyplace else, why not in the quick settings? 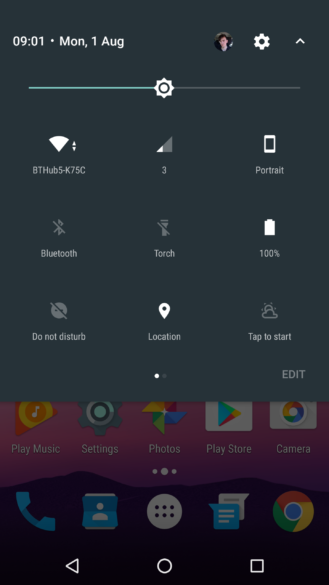 The app has 14 different weather icons in a clean white style to match the system theme. It also lists the temperature and a verbal description of the conditions. In the settings, you can toggle the description on and off, change the units, and set the refresh rate. 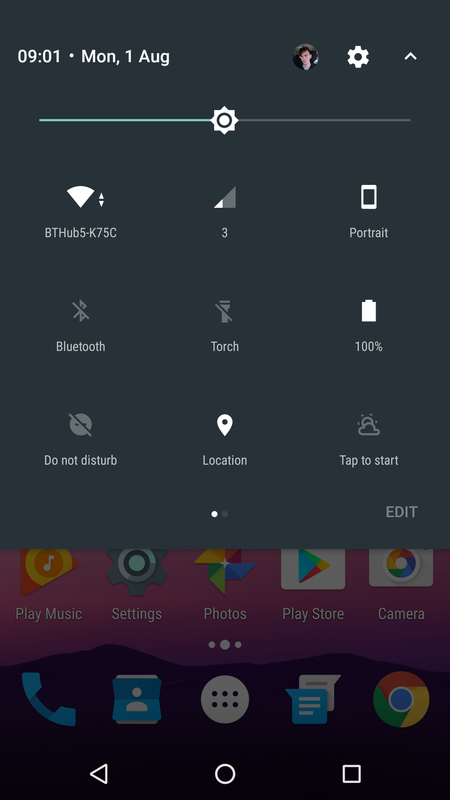 Apparently, tapping on the tile updates it immediately and double-tapping opens the settings. You can't use this app unless you're on Nougat, so for now that just means the developer preview. I'm sure we'll see many more like this when Android 7.0 starts rolling out.